This show was pretty cool, great music and tons of posters & poster people. Justin did a great job putting it together. 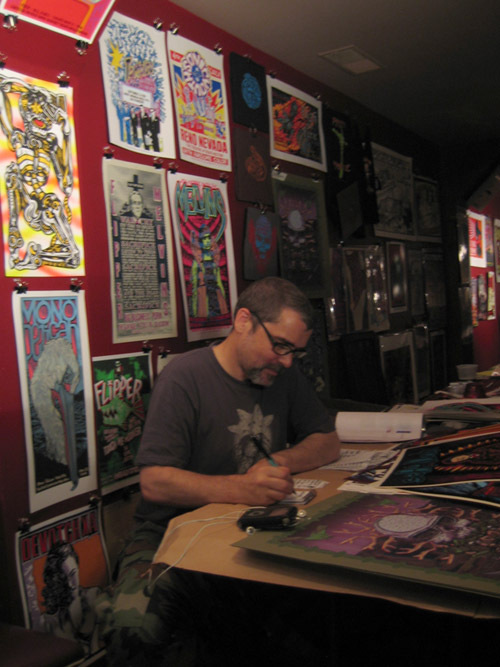 Featuring 12 rock poster artists exhibiting and selling their work. Doors open at 6pm free of charge for happy hour. $8 starting at 8 pm.